This week, Leanne Page M.Ed, BCBA, answers a parent’s question on creating effective token economies. First of all- good job using some behavior analysis to help increase desired behaviors in your family! A token economy is a great tool. Now- a token economy is a great tool when it is combined with great positive reinforcement. What your message is telling me is that it’s not the token economy that is the problem. The rewards you are offering your son are not reinforcing. It sounds like they were super reinforcing and effective for a while, but your son is just not that into these rewards anymore. So what do you do? Throw out the whole token economy system? No! Let’s find some more effective reinforcers to help you be successful again. As parents, we assume we know what our kiddos like. We know what they are into, what they want, and what their preferred items are. But sometimes the things they will work to earn may surprise us. Our kids may become satiated or habituated to the rewards we are offering them. This means they have had enough and it’s no longer piquing their interest. No matter what the cause, what we do know is that our children’s preferences change. To use effective positive reinforcement, we must identify what is reinforcing to our child at this point in time. A preference assessment encapsultes “a variety of procedures used to determine the stimuli that the person prefers, the relative preference values of those stimuli, and the conditions under which those preference values change when task demands, deprivation states, or schedules of reinforcement are modified” (Cooper, Heron, & Heward, 2014). As parents, we can do this in a number of ways. Observe your child and see what they choose to play with. This can take place at home but also outside your home. If you go to a friend or family member’s house, what things does your child choose to interact with? If you go to a museum, bookstore, other outings, what interests does your child show? 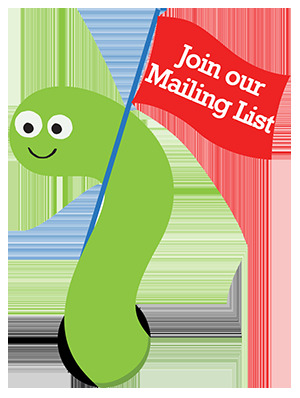 Make a list of things/activities you think would be good reinforcers and ask your child how he feels about them. Depending on age and ability you could have him rate them on a scale of 1-10 or have them choose a happy face for each one. You could read each item and have your child give thumbs up, thumb sideways, or thumbs down to indicate preference. If you can’t think of ideas, google it. There are many reinforcer surveys or preference assessment checklists floating around on the internet. Let your child generate the list. Ask “What do you want to earn?” Let them say the big things that are unlikely and help to identify ones that are reasonable. If you are going to use new items- let your son choose. Take your child shopping. I let me daughter pick one or two things from the dollar spot every time we go to Target. She doesn’t get to keep them that day. She puts them in her prize bag to earn with good behavior or reaching goals on a token economy. Any time we have a valid system of positive behavior supports in place, such as your token economy, and it stops working- it’s not the system. It’s the reinforcement. The reinforcement you are offering is simply not strong enough. Up the ante. Give better options for rewards. Identify potential reinforcers by conducting a preference assessment. Let your son choose his reinforcer. Whenever there is a new problem behavior, or a behavior management system not working- my first response is increase the positive reinforcement for appropriate behaviors. Be prepared to continue to do preference assessments every once in a while. Our children’s interests and preferences change, so if we stay in the know we can have effective reinforcers at hand. Carr, J. E., Nicolson, A. C., & Higbee, T. S. (2000). Evaluation of a brief multiple‐stimulus preference assessment in a naturalistic context. Journal of Applied Behavior Analysis, 33(3), 353-357.
Cooper, J.O, Heron, T.E., & Heward, W. L. (2014). Applied behavior analysis. Pearson Education International. DeLeon, I. G., Fisher, W. W., Rodriguez‐Catter, V., Maglieri, K., Herman, K., & Marhefka, J. M. (2001). Examination of relative reinforcement effects of stimuli identified through pretreatment and daily brief preference assessments. Journal of Applied Behavior Analysis, 34(4), 463-473. Pick of the Week: Token Economies! We have great tools to help learners meet goals and stay on task! Sale ends 11/6! *Promotion is valid until November 6th, 2017 at 11:59pm ET. Offer cannot be applied to previous purchases, combined with any other offers, transferred, refunded, or redeemed and/or exchanged for cash or credit. Different Roads to Learning reserves the right to change or cancel this promotion at any time. To redeem offer at difflearn.com, enter promo code REINFORCE2017 at checkout. Pick of the Week: Token Boards + 10-Packs, now available! Token boards are a part of every ABA program. They give teachers a positive way to reinforce good behavior and monitor success. Our lightweight, laminated Token Boards are now available in 10-packs – and even better – you can save 15% on any of our token boards and their 10-packs this week! 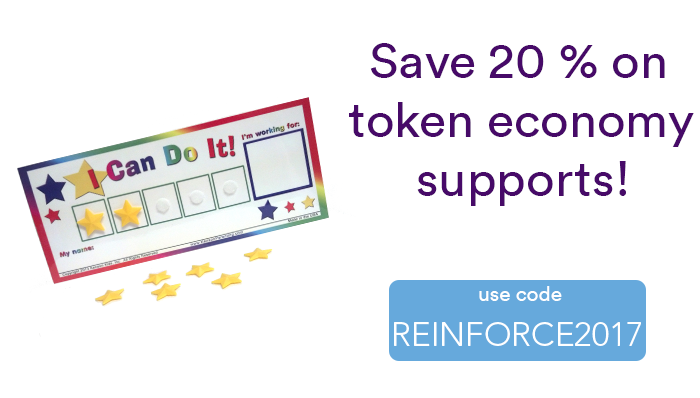 Just use our promo code TOKENS when you check out online or over the phone with us. 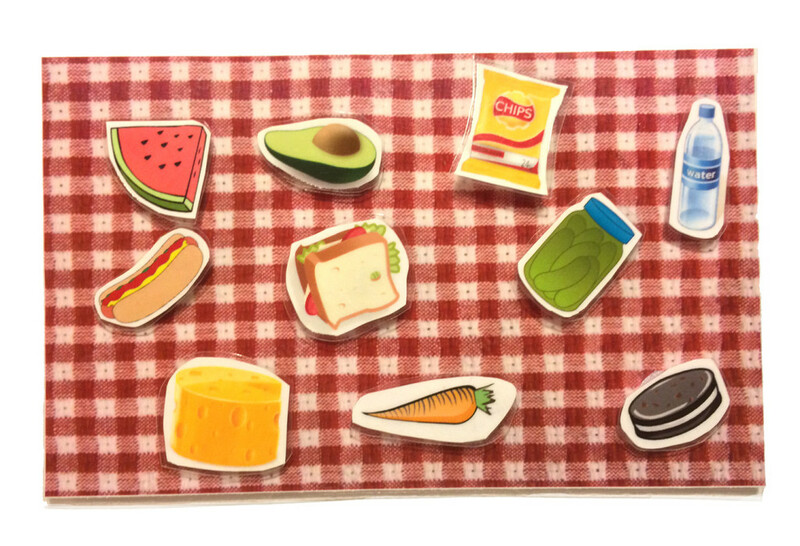 Once the student receives 1 to 5 stars on their token boards, they receive a reward – a favorite activity, a toy, or something good to eat! There is also a 2″ box at the end of the row, so the instructor can place an image of the reward. 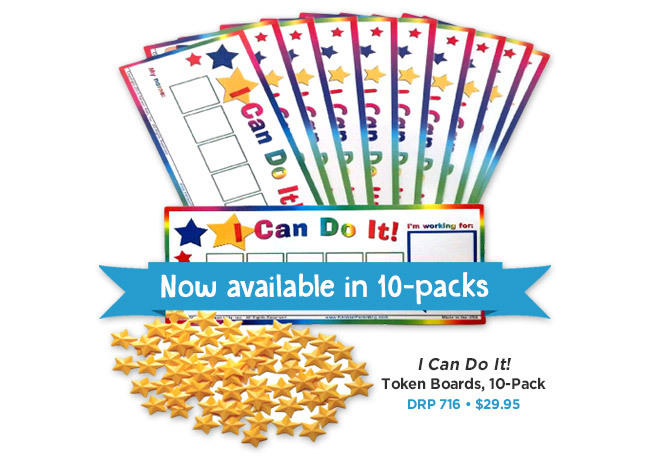 Each token board comes with 8 reusable reward stars. The chart measures approximately 5″ x 9″. View more token boards here. *Code is valid for one-time use through August 9, 2016 at 11:59pm. Offer cannot be applied to previous purchases, combined with any other offers, transferred, refunded, or redeemed and/or exchanged for cash or credit. Different Roads to Learning reserves the right to change or cancel this promotion at any time. To redeem offer at differentroads.com, enter promo code TOKENS at checkout. Token economies are used in many different environments. They’re typically simple to implement and achieve desired results for behavior change, especially in autism classrooms. Furthermore, there are tons of research on how to best use them. If you want to get the best results while simultaneously promoting independence in your learners, it is not as simple as just putting some stars on a chart. Use a preference assessment. This will help you identify reinforcers your learner may want to earn. As I’ve mentioned in previous posts, I often use the Reinforcer Assessment for Individuals with Severe Disability (Fisher, Piazza, Bowman, & Amari, 1996). You can view it here. Define the target behavior. What behaviors do you want to increase? And how can you define them so they are clearly observable and measurable. For instance, your learner could earn tokens for raising his or her hand in class or responding to a question within 3 to 5 seconds. It is important the behavior is clear and everyone using the token economy agrees on what each behavior looks like. Choose your tokens. When I was a classroom teacher, I had a class-wide token economy in which my students earned paperclips. The paperclips had no value initially, but once the students understood the system, I could put paperclips in the bags of the students who were sitting quietly while still continuing to teach my lesson. It allowed them to reinforce the appropriate behaviors and make the most of instructional time. For other students, I’ve used things such as Blue’s Clues stickers, smiley faces I drew on a piece of paper, and even tally marks on an index card. Choose when and how tokens will be exchanged. With the paperclip system in my classroom, exchanges occurred at the end of the day. After everyone had their bags packed and were sitting at their desk, we did the “paperclip count” and students could decide whether to spend or save. There was a menu of options ranging in price from 10–100 paperclips. It was also a great way to reinforce some basic math skills (such as counting by fives and tens and completing basic operations). For other students, they might be able to exchange tokens after earning a set amount. Depending on their level of ability, that set amount may be very small (such as 2 to 3) or much larger (such as 25). Sometimes, students have a choice of items or activities, while at other times they earn a pre-selected item or activity. Keep it individualized. Conducting a preference assessment helps to make sure it’s individualized to your learner’s preferred items. With my students, the menu of items/activities they could earn was generated through a conversation with them. Decide if you will implement a response cost. 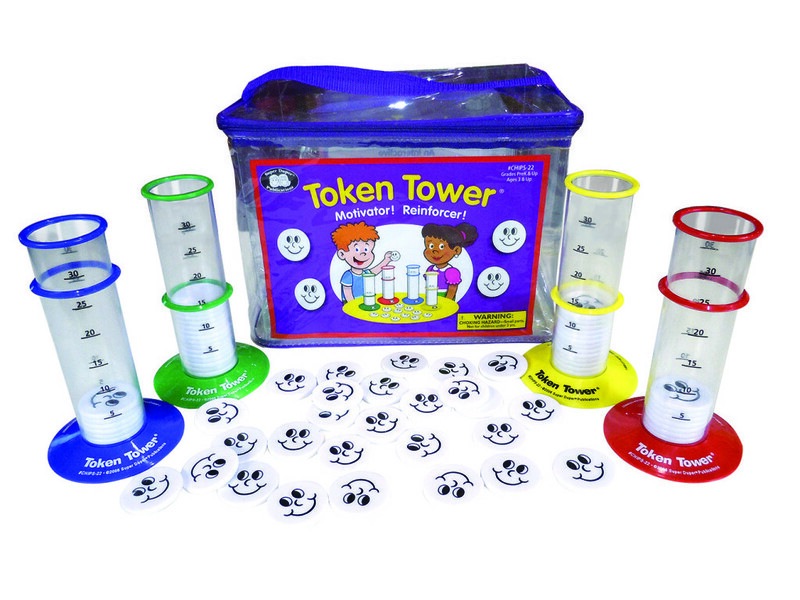 For my students, I have never used a system in which they could lose tokens they had already earned. But you may find that utilizing it may help. It all depends on your particular learner, which makes the next point all the more important. Take data. You need to take data so you will know if your token economy is helping you achieve your goal with the target behaviors you have set. Thin the reinforcement over time or change the target behaviors. I do not want any of my learners to be using a token economy for one behavior for all eternity! Let’s say I start with a young learner who is not sitting down for instruction. I may start the token economy by having my student earn a token for every instance in which they are seated correctly for a specified period of time. As my student masters that, I will increase the amount of time required before a token will be earned. Once they’ve achieved the goal I set, I can either fade out the token economy, or keep the token economy but use it for a new behavior. 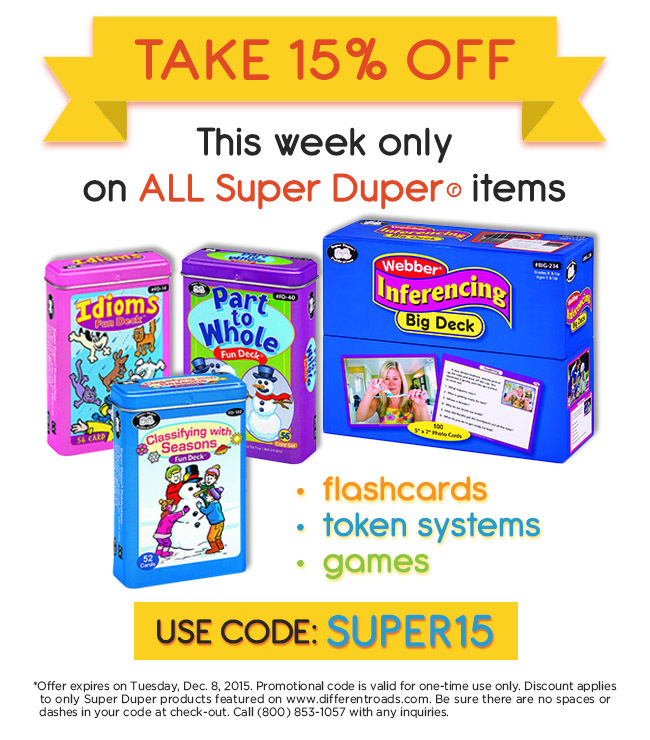 Pick of the Week: Savings on ALL Super Duper® Items! Items pictured: Idioms (DRC 751); Part-to-Whole Fun Deck (DRC 752); Classifying with Seasons Fun Deck (DRC 028); Inferencing Big Deck (DRC 025). Visit the entire Super Duper category for more items.